Cool little video on the Bonefish and Tarpon Trust homepage at the moment which tells the story of bonefish spawning patterns, uncovered by science. We’ve long suspected some of this stuff, but now we know. Populations are connected. Most bonefish DON’T travel from Andros to the Florida Keys, but their little, tiny, adorable bonefish babies don’t stay put. They travel on the currents from Andros to Cuba, around Cuba and up to the Keys. So, that monster West Side bonefish will beget that monster Keys bonefish, just in a few generations. 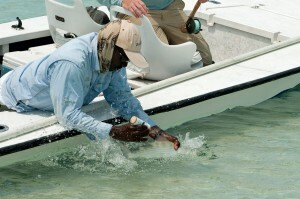 That means Bahamas conservation and Cuban conservation are really Florida bonefish conservation. That’s pretty key to know. Consider joining BTT this holiday season. They do great work. A really interesting video about Andros… from the crabs to the sponges to the fisheries. Worth a watch, even if PS does make a couple brief appearances. Six years ago I got invited to Andros South for a week of fishing and blogging, something called FIB FEST 2011. This was back when maybe blogs were a bit more relevant and before the age of… well, whatever this is the age of. The trip was great and the people I met were awesome and when I got back, after being in bonefish heaven for a week, I found out my marriage was pretty much over. Photo by Cameron Miller down at Andros South. 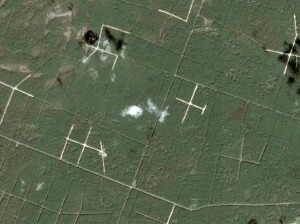 So, Andros serves as a kind of line of demarcation between the life I had before Andros and the life I had post-Andros. I still feel profoundly grateful to have had such an amazing experience be the buffer between those two periods of my life. Fishing trips are kind of like that. I think back to important times in my life and I tend to think “Now, that was just before Cuba” or “That was just after my 2010 Belize trip.” The trips serve as milestones in so many ways. They are a map to my past. Andros South in the morning. Thank You Andros (and Andrew). The Bahamas are full of unfulfilled, if not outright broken, promises. An arial view of almost any island will confirm as much. So many folks have blown through and made grand promises of economic security and revolution. Every paved road in a fantasy real estate development tells the tale. I have to wonder if the International Development Bank sees something similar when it looks at its own investments in the fly fishing community in the Bahamas. 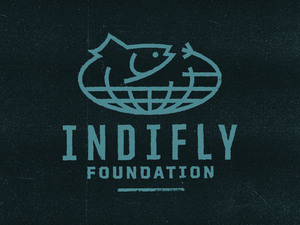 Turns out they invested in a program, to be led by the BFFIA, to “Support the economic empowerment of fly fishing guides.” The project was approved in December of 2014, although very little, if any, of the project seems to have been carried out. Oddly, this BFFIA project was focused only on Andros, coincidentally the home of BFFIA President and Head Bahamian Snake-Oil Salesman. The general objective of the project is to enhance the skill sets and business acumen of the Andros fly fishing guides and their families while sustaining the island’s natural ecosystem. There was about $140,000 available for the project and only about $34,500 was reported to be spent. This project was supposed to include a market survey… ya know… like BTT did, and it appears the BFFIA at least made a go of it, as they inflated the value of the industry from 2x-4x to suit their politics, but the report is not available on the website. Maybe some of the projects milestones were met, but it sure doesn’t look like it. I don’t have a crystal ball that reveals such details, just the project page, but it sure looks like the IDB’s 2014 investment produced some shite returns in 2017, the year their project was supposed to be wrapped up. Go to the Bahamas though… just go to one of the places that fought for all anglers. I saw some photos yesterday of some mangroves being ripped up near Fresh Creek in Andros. Mangroves, as most folks here would know, are vital. They are the nurseries for juvenile fish. They hold the shoreline in place when the big storms come through. They are host to crabs and shrimp and all manner of wild things. You shouldn’t rip out mangroves because you want to put in a fuel station. But… if the reports are true, that’s exactly what our good ole pal Prescott Smith is doing down in Andros. Yup, that Knight of Conservation appears to be ripping out mangroves. And yes, that’s a bonefish flat right in front of the ripped out mangroves. 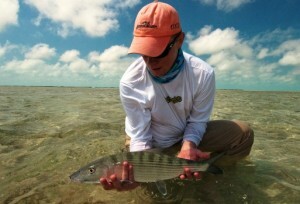 The number one threat to bonefish is not angler pressure or illegal netting or pollution. The number one threat to bonefish is habitat loss. There is a lot of habitat in Andros. Miles and miles and miles of it, square miles. 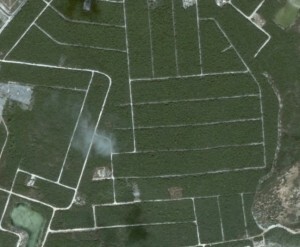 It is the biggest nursery in the Caribbean. It is only that good because it is mostly intact. Bonefish won’t be lost by a few huge devastating blows, but by a thousand little cuts. This is one such little cut. 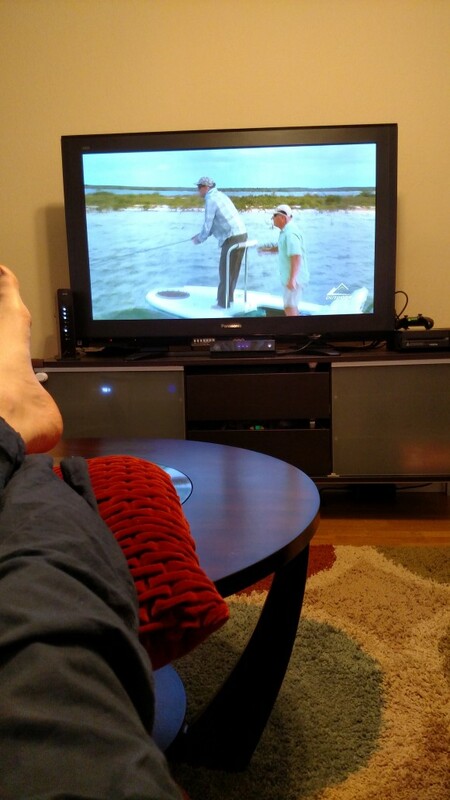 Somehow the new season of Buccaneers and Bones (which supports the Bonefish & Tarpon Trust) started without my noticing. But I’ve noticed now and watched the last episode, which was on South Andros at Bair’s Lodge. Oh, South Andros. I love that place. Only spend one week there, but it is etched in my memory forever. It was an important trip and the line separating one period in my life from another. My trip there was FIBFest II, a thing that has gone by the wayside, an experiment of sorts. The Buccaneers and Bones crew this year is pretty interesting with Jimmy Kimmel among the cast. South Andros is a special place. Glad to see it again, even if it is on TV. This interview was originally in the Angling Destinations newsletter. 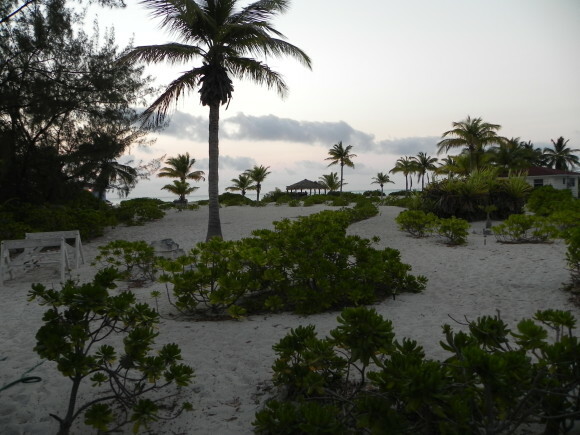 Mars Bay is located in South Andros, one of the best spots for bonefish on the globe. Do you think Andros deserves the reputation as the bonefishing capital of the world? Yes, I would have to agree, you’ll not find a better bone fishery on the planet. 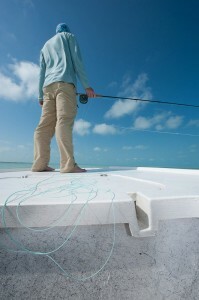 I’ve often said that there are more bonefish in the waters around Andros than you can shake a fly rod at. Over the years I’ve met hundreds of fishermen at the lodge. Between them they’ve covered every bone fishery on the planet. They tell me South Andros is the best bone fishery. I have one very experienced group of fishermen that actually has fished the entire planet. They’ve booked a couple weeks every year since I opened. They tell me South Andros is as good as it gets, there’s no need to travel anyplace else. How have you seen South Andros change over the years? Things seem to move a big slow on South Andros, in terms of change, but is there anything someone who fished Andros 20 years ago would find surprising about the South Andros of today? When I first arrived on the island twelve years ago there was no internet or cell service. Actually, we did have 14.4 dial up that didn’t work. Now we have DSL that is fairly reliable but you won’t be streaming any movies. And cell service is good. We also have direct flights to/from Ft Lauderdale/Congotown now. What used to be an all day ordeal and an overnight stay in Florida or Nassau is now an hour and fifteen minute flight. Beside that…..nothing has changed. It’s like groundhog day. My neighbors are still bailing water from a well and washing cloths in a wash tub. If anything there has been a noticeable drop in population and economic activity. We have a rotating menu at the lodge. There are dishes we serve that are unique to the Bahamas. They are nearly impossible to find, not available, or very expensive elsewhere. If you come to the lodge I make sure those items are first on the menu. Unfortunately, because of that I get stuck eating the same thing over and over. Ask any fisherman that has been to Mars Bay; I won’t eat lobster anymore…..nasty critters. I’ll usually have a hotdog or leftovers on lobster night. I’m almost to that point with cracked conch. I never get tired of fish. My favorite dish is a whole, skin on, scaled and gutted, lane snapper with the daylights fried out of it! I did take it off the menu and rarely serve it to the fishing guests without checking first. Not all, but most don’t know how to eat a whole fish and make mess out of it. Not mention your dinner is staring back at you. Andros can provide the angler with a shot at numbers or size. What do you see most anglers coming to Mars Bay to pursue? It depends on the fishermen. Generally, most fishermen just want to catch fish. Those newer to bonefishing are more interested in numbers and enjoy fishing the schools. The more experienced bonefishermen are looking for larger fish and prefer casting to sets, pairs, and cruising singles. Occasionally I do get the fisherman that says, “I only want to catch big fish.”……don’t we all. I can advise your guide and he’ll do what he can but I would suggest taking what the day gives you. You’ll get your shots. Has anyone ever forgotten to pack their rod? No, but occasionally luggage gets delayed. I’ve had to completely outfit a few fishermen over the years, no problem. Between my gear and other guests there’s always plenty to go around. Andros has more mangroves than just about anywhere. Do you see the ecosystem there in Andros still being in good shape? The ecosystem is in great shape. Everything looks as it did when I first arrived on the island. Andros is such a special place. What do you love most about Andros? It’s is incredibly beautiful. The water is as clear as the air and filled with shades of blues and greens that a camera can’t capture. The flats and islands of the southern tip seem limitless. You probably won’t see another boat all day and you feel as if your the only person on the planet. It’s a spiritual experience. What love most is the climate. While you’re scraping ice off your windshield in the morning I’m sitting on the beach, wearing shorts and barefoot, sipping coffee and watching the sun rise. Sounds pretty good Bill. Sounds pretty good. This looks like a place my wife would like… something to think on. I do love the first bonefish stories. Here is one from blog reader Steven. Steven went to Andros… magical Andros. Love that place. Did I mention I love Andros?